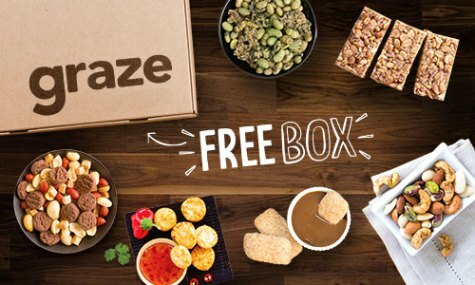 First Graze Box Free Just Pay Shipping! If you have not yet gotten your first Graze box you can head on over HERE and grab your FREE Graze Snack Box ! All you have to do is pay $1.00 for shipping. If you are completely satisfied with your Graze package do nothing and you will continue to receive shipments, if you are not satisfied you may cancel at any time!